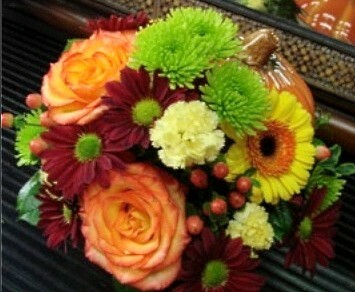 Flowers from Camille's Floral Shop will make any occasion special. Three years ago, Tracy Camille Lane and Cindy Mannia with the help of Kathy Ackerson, Amy Estes-Presswood and Deb Copland brought new life to the old Yoder/Rodgers home at 502 East Vistula St. with the opening of Camille's of Bristol. It's a unique emporium of delightful gifts, florals and vintage heirlooms, as well as a passionate and friendly staff that has nearly 50 years of combined experience. Proudly serving the Bristol, IN area, we're a full-service local florist that is family-owned and operated. We hope you enjoy your online shopping experience with secure 24-hour ordering right at your fingertips. If preferred, you may call us to place orders direct at 574-848-4904. 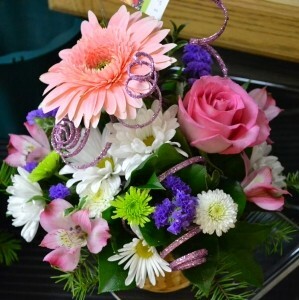 You can always depend on our courteous staff to help you with flowers for the funeral of a friend or loved one. We can create a tasteful and personalized tribute, memorial bouquet or wreath customized to your specifications. Let us design and deliver a funeral arrangement that beautifully conveys your expression of sympathy and serves as a lovely memorial to the deceased. In addition to our floral designs, plants and dish gardens, we also offer keepsake items: crosses, books of love, throws, angel statues, stepping stones, etc. 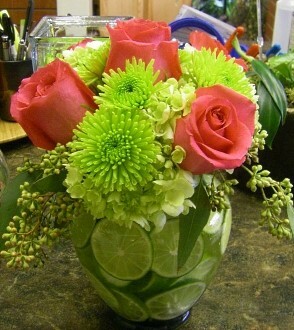 Order your beautiful, one-of-a-kind Wedding Flowers and Party Flowers from Camille's Floral Shop. We will ensure your dream wedding or any special day is a blooming success!! Call us in advance at 574-848-4904 to set up an appointment for a consultation. Our services include: Wedding Floral Design, Wedding Planning and Services Rental, and Interior Design. Browse our selection of Dish Gardens, Green Plants & Blooming Plants for a gift that adds life to any room, office or outdoor space. We also offer a wonderful variety of Gift Suggestions and Decorating Ideas. Something for All Ages and Occasions: plush stuffed animals, balloons, fruit baskets, gourmet baskets, Wind & Willow Gourmet Foods, scented candles, soy candles & potpourri (Our brands include Aromatique, Root & Lake Shore Candle Co.), custom silk arrangements, lots of unique home décor items, baby gifts, candy bar bouquets, South Bend Chocolate Company gourmet chocolates, vintage heirlooms, holiday gifts, holiday decorations, Century Farmhouse Handmade Soaps, Naked Bee Health & Beauty Products, American Expedition Gifts for the Guy and much more! Call or visit us today… we look forward to meeting you! Thank you for visiting our website for flowers delivered fresh from a local Bristol, IN florist and easy online ordering available 24 hours a day.